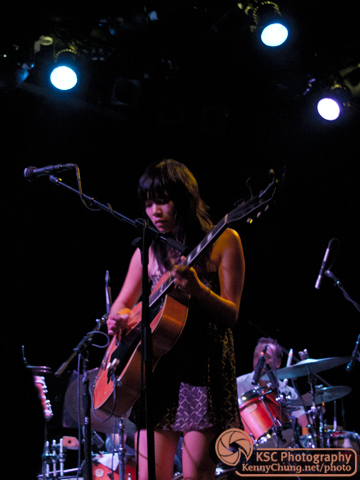 Thao returned to Music Hall of Williamsburg, this time with her band, The Get Down Stay Down. 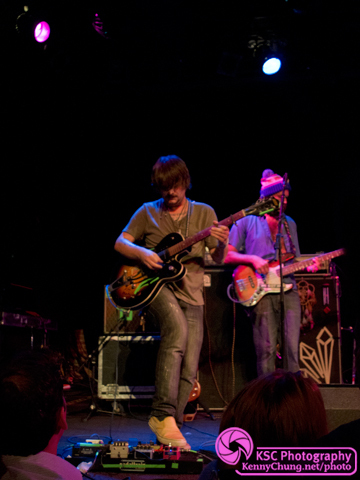 Along with The Devil Whale, Thao headlined this show with The Head and the Heart. 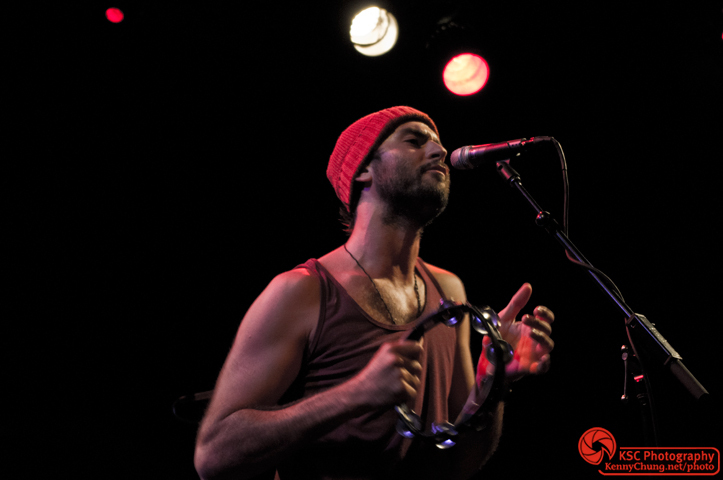 I first heard The Head and the Heart via Turntable.fm several months ago and could not pass up the chance to see them live. Opening band The Devil Whale was fun to watch and listen to. This is lead singer Brinton Jones with drummer Cameron Runyan. 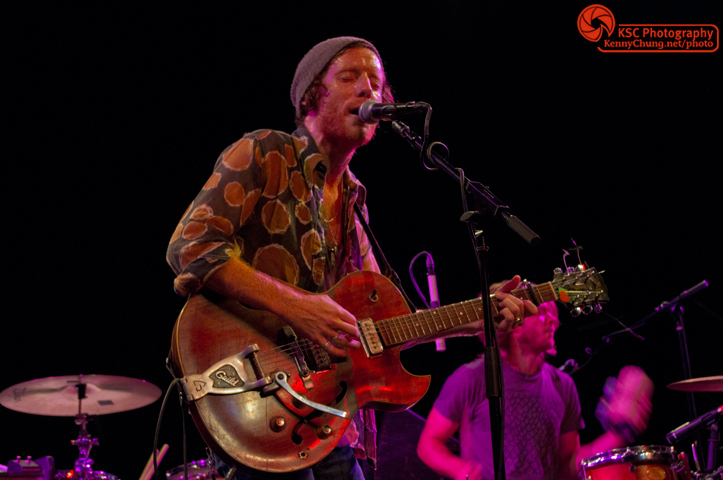 The Devil Whale's lead guitarist Jamie Timm and bassist Jake Fish on stage at Music Hall of Williamsburg. 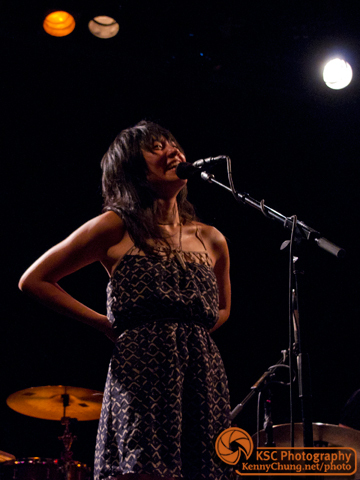 Thao with the Get Down Stay Down at Music Hall of Williamsburg. A happy Thao Nguyen covering Smoky Robinson during a truly great and energetic set. 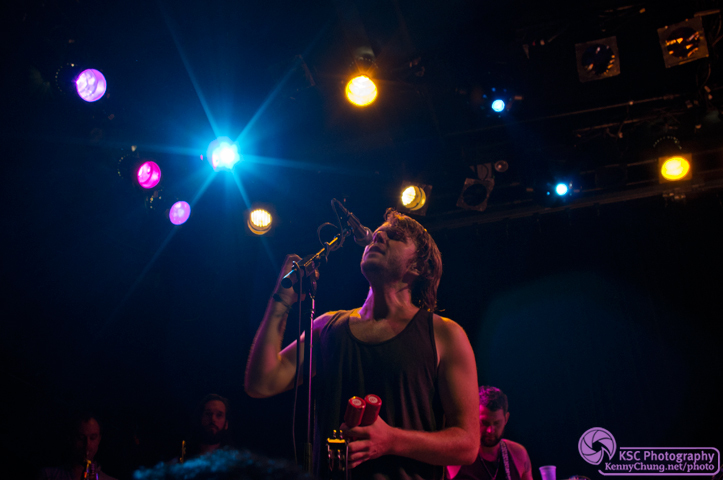 The Head and the Heart lead singer/guitarist Josiah Johnson and drummer Tyler Williams in the background. 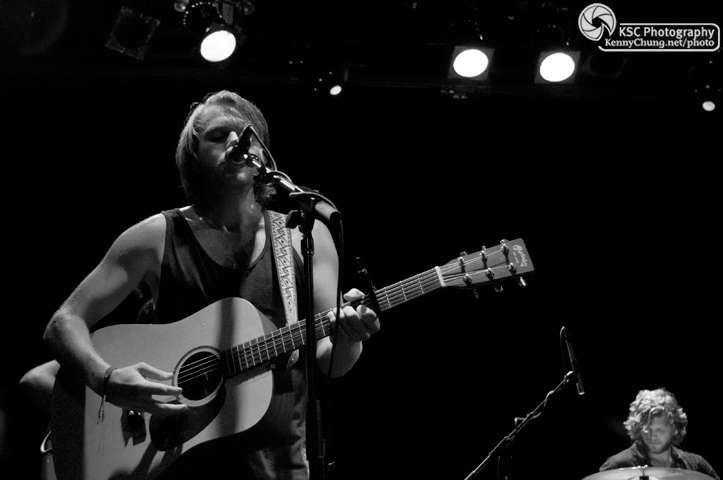 Jonathan Russell on stage at the Music Hall of Williamsburg. An almost barefoot Jonathan Russell on stage. 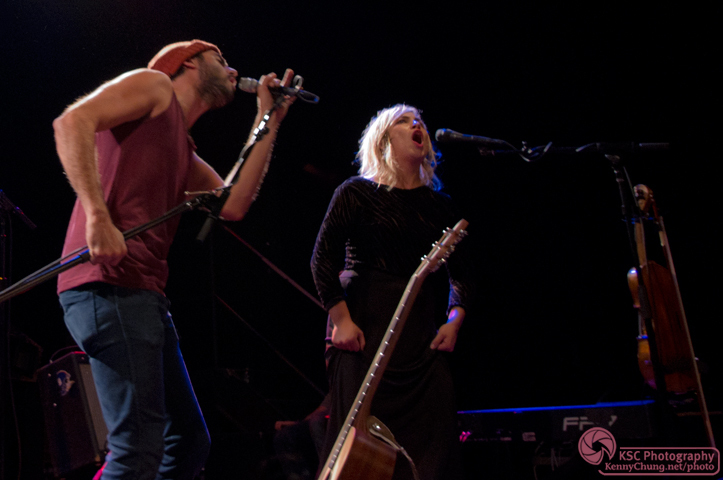 The Head and the Heart's Jonathan Russell and violinist/vocalist Charity Rose Thielen on stage at Music Hall of Williamsburg. 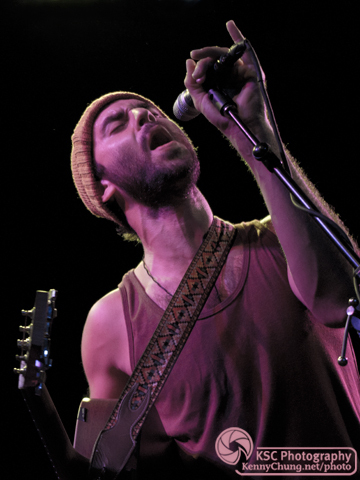 The Head and the Heart closed out their set with my favorite song of theirs "Down in the Valley".